Light-Emitting Diodes are ubiquitous in our daily lives, helping to provide light in our homes as well as give a crisp display in TV and smartphones screens. But if it wasn’t for the pioneering work of three researchers in Japan — Isamu Akasaki and Hiroshi Amano from Nagoya University and Shuji Nakamura then based at the Nichia Corporation — it might have been different. In the 1980s, the trio managed to create highly-efficient blue Light-Emitting Diodes (LEDs) – a discovery that opened the way for a new form of lighting through the production of white light from LEDs. LEDs work by applying a current to a layer of semiconductor materials that then emit a particular wavelength of light depending on the chemical make-up of those materials. The first red LED was created in the early 1960s using gallium arsenide and researchers then managed to create devices that emitted light at shorter wavelengths, reaching green by the end of that decade. However, scientists struggled to create devices that could deliver enough blue light, which is essential for a source of white light — needing, as it would, red, green and blue LEDs. There were some early examples of blue LEDs, led by researchers at the Daresbury Laboratory in the UK, but the development of blue LEDs that could be commercially viable sources of light only really took off in the 1980s. Akasaki, Amano and Nakamura focused on the compound semiconductor gallium nitride (GaN) to make blue LEDs and overcame problems in getting blue light by creating high-quality crystals of GaN. By tweaking various layers of gallium nitride, as well as indium gallium nitride layer — a key material as it emits blue and green light — they managed to generate blue light efficiently. Their breakthrough was honoured last year when they shared the 2014 Nobel Prize for Physics for “the invention of efficient blue light-emitting diodes [LEDs] which has enabled bright and energy-saving white light sources”. 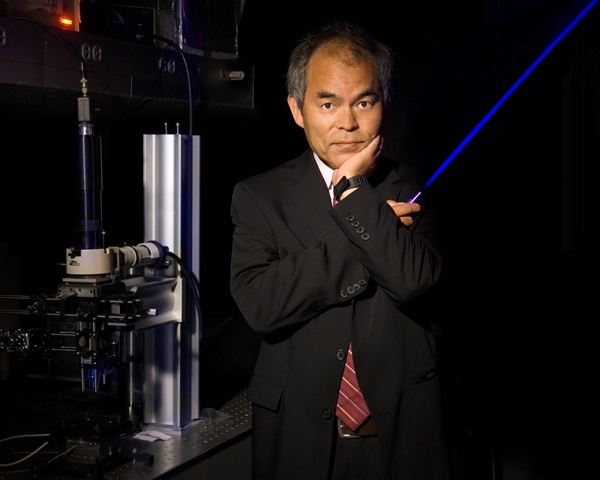 To tie-in with the International Year of Light and Light-based Technologies 2015, I interviewed Nakamura during the American Physical Society March meeting in San Antonio, Texas earlier this year. During our chat, Nakamura highlighted the challenges he faced to build a blue LED and even admits that people today don’t really understand how it works. “Nobody knows the physics behind why it works and is so efficient — it’s still a mystery,” he says. But now that LEDs are well established what might come next in the lighting revolution? One prospect that excites Nakamura is laser lighting — a semiconductor device that produces coherent radiation in the visible or infrared spectrum when current passes through it. Nakamura told me that his life hasn’t changed much since winning the Nobel prize – the most distinguished award in physics – only that the Japanese media follow him more and that students recognize him now. Although at least Nakamura has a “free car-park space” at the University of California, Santa Barbara, where he now works. But while his life may not have changed much, no doubt the discoveries he has made has helped changed how we live our lives. A special collection of free-to-read papers on blue LEDs from IOP Publishing and its publishing partner the Japan Society of Applied Physics is available at http://iopscience.iop.org/page/Nobel. It includes a special issue of Semiconductor Science and Technology on deep-ultraviolet LEDs guest-edited by Amano. In the meantime, don’t forget to check out our free-to-read digital collection of 10 of the best Physics World features related to the science and technology of light – including an article written by Nakamura — that span everything from the physics of rainbows to a new type of glasses that could bring improved vision to millions. 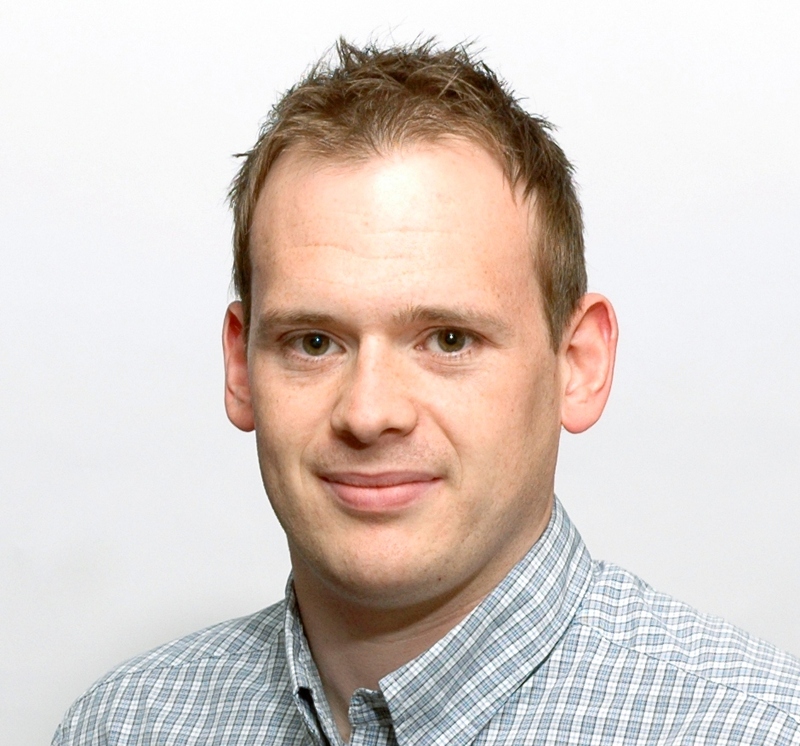 Michael Banks is news editor at Physics World magazine. Nice read, Michael! LED technology application has really gone a long way.